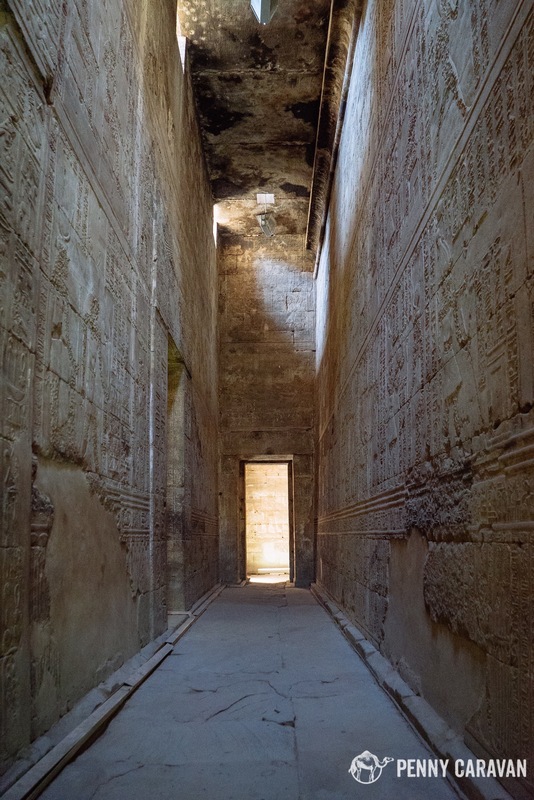 The Horus Temple at Edfu is an incredibly well-preserved example of Egyptian architecture. 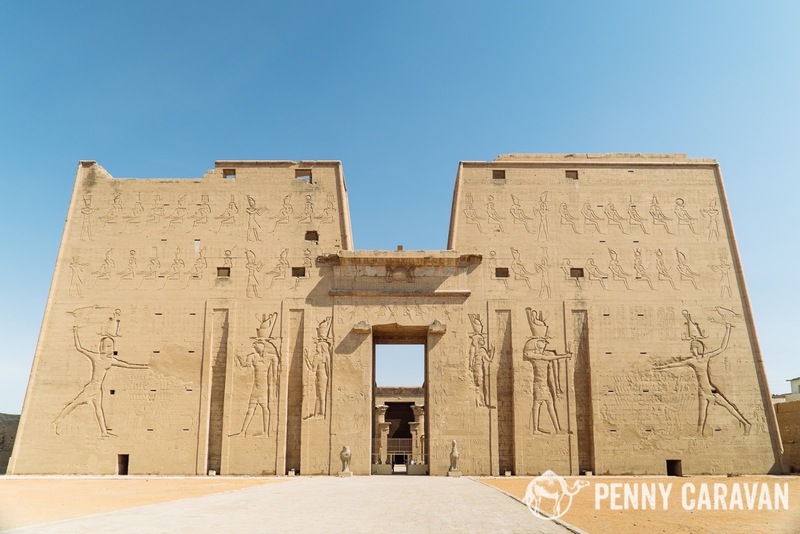 It was built during the Ptolemaic period, with a starting construction date of 237 BC making it “only” 2200 years old, which is fairly young compared to some of the other ancient sites in Egypt. 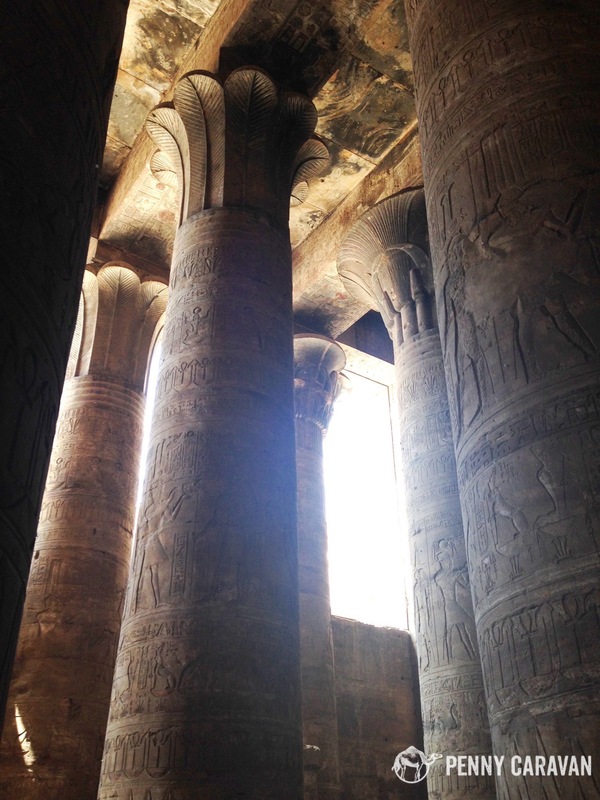 Edfu is a small town on the west bank of the Nile, and getting to the temple is easy. 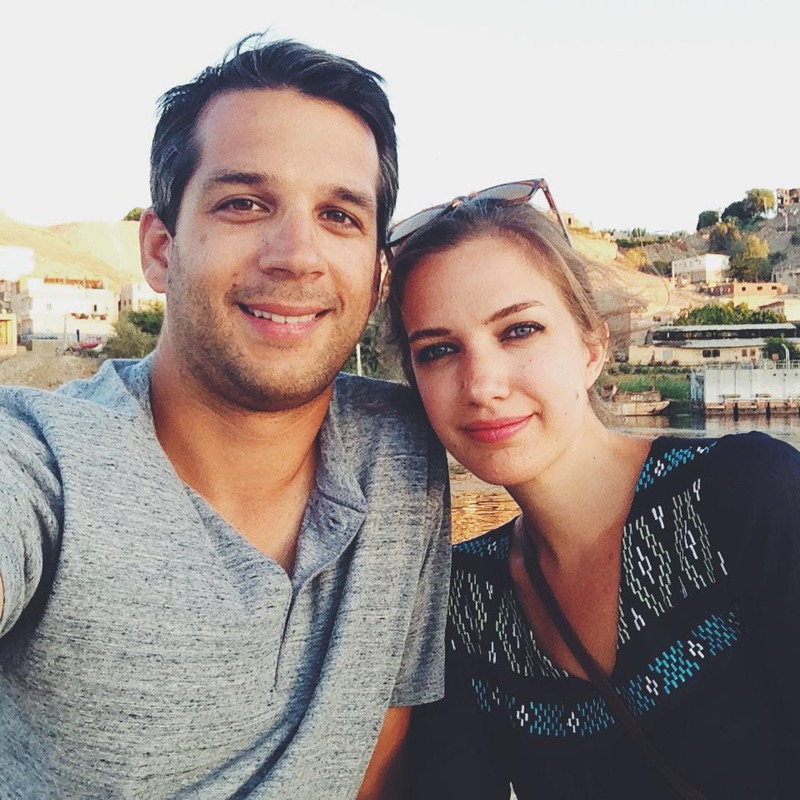 The most common way to visit is via a Nile River Cruise. On Luxor to Aswan itineraries, you’ll stop here on the third day, after visiting the larger and more impressive Karnak and Luxor temples. That might be one advantage to the shorter Aswan to Luxor itinerary, in that you’ll visit the smaller temples first before being wowed by Karnak and Luxor. View of our ship, the Sonesta St. George, from the horse carriage. 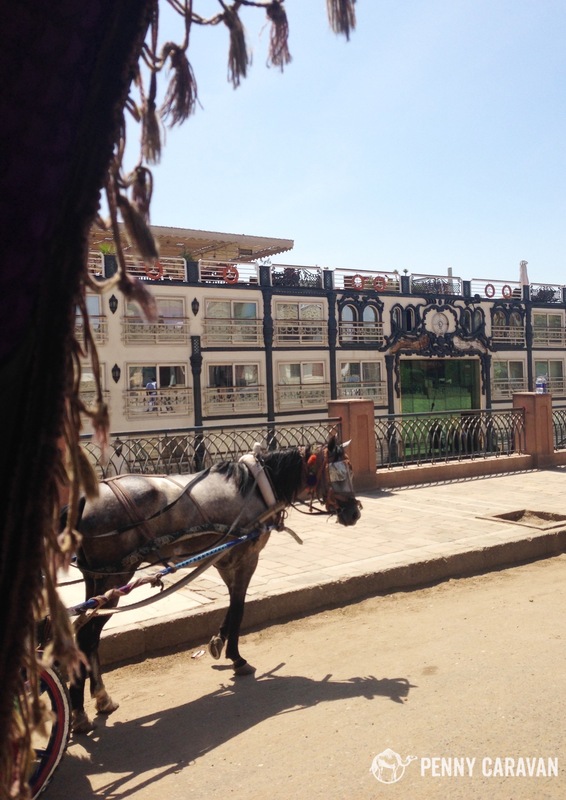 Once docked in Edfu you’ll need to arrange transport to temple, either via taxi or horse-drawn carriage. We opted for the horse-drawn carriage but quickly regretted that decision. The horses seemed a bit malnourished, and our driver decided to “race” down the street against another carriage, causing our horse to stumble and slide down the street. We later found out the horse was pregnant, which made the incident all the more upsetting. I’m hopeful that the condition of the horses was due to the severe decline in tourism over the last few years and a restoration of previous levels will lead to better treatment for them. Still, it’s something to keep in mind while visiting. 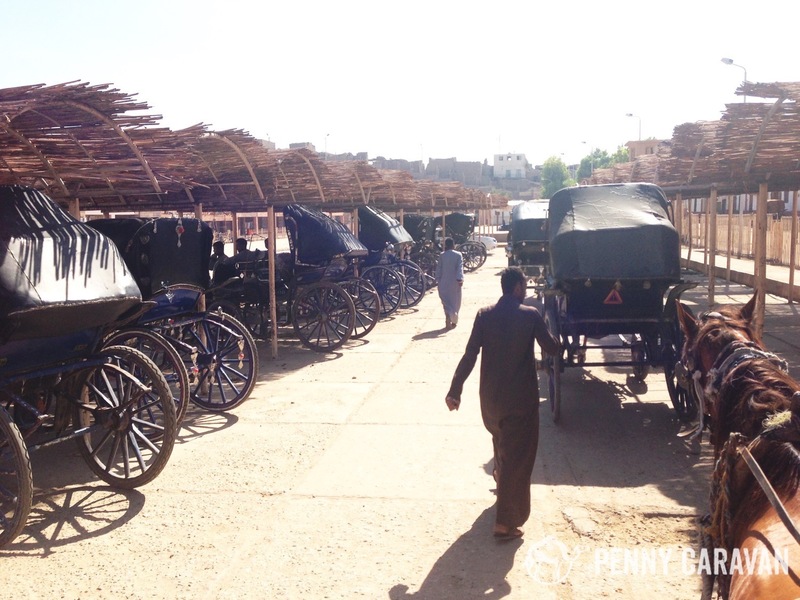 Carriage parking at Edfu Temple. From the outer courtyard you can see the impressive facade with carved reliefs. A large granite statue of Horus sits at the entrance. The temple is still covered, so it has the advantage of offering respite from the oppressive heat. But be warned that many bats have taken up refuge inside. They probably won’t bother you… probably ;). 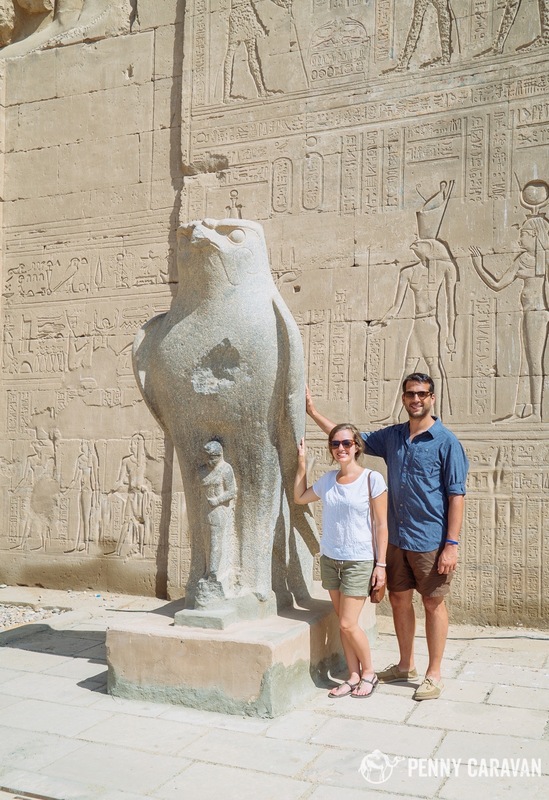 There was some significance to touching the Horus statue but we can’t remember why…. hope it was for good luck! 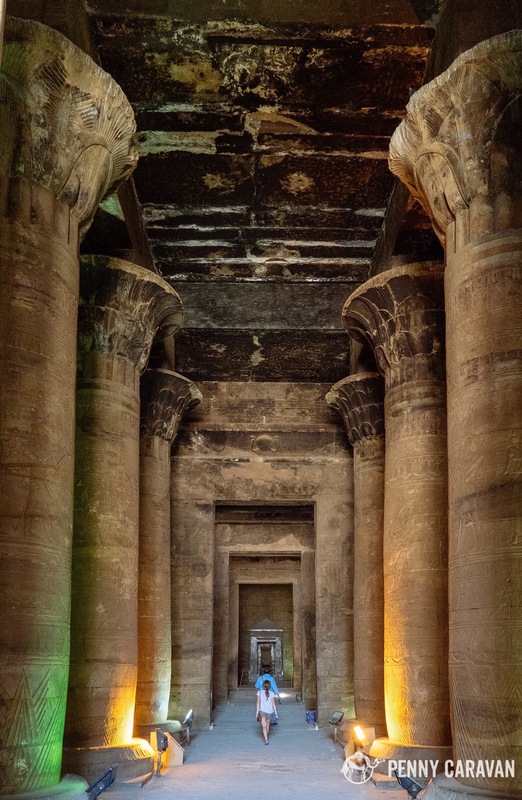 Considerably smaller than the temples at Karnak and Luxor, Edfu stands out for being the most complete and well-preserved temple in Egypt. 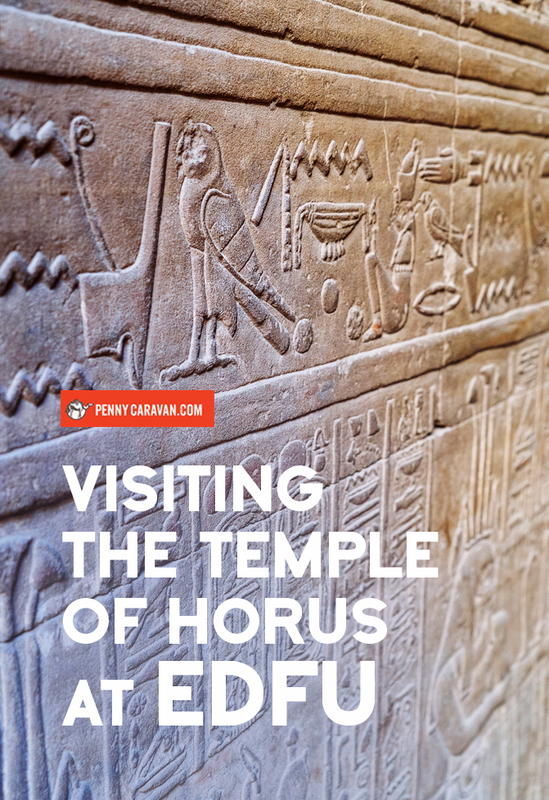 It follows the same pattern as other Egyptian temples, with the intricate carvings covering virtually every square inch recounting the mythology of Horus and his quest for revenge against Seth for the murder of his father Osiris. If you happen to visit at night, you can take in the Sound and Light show and learn about the history of the temple through colorful light displays. 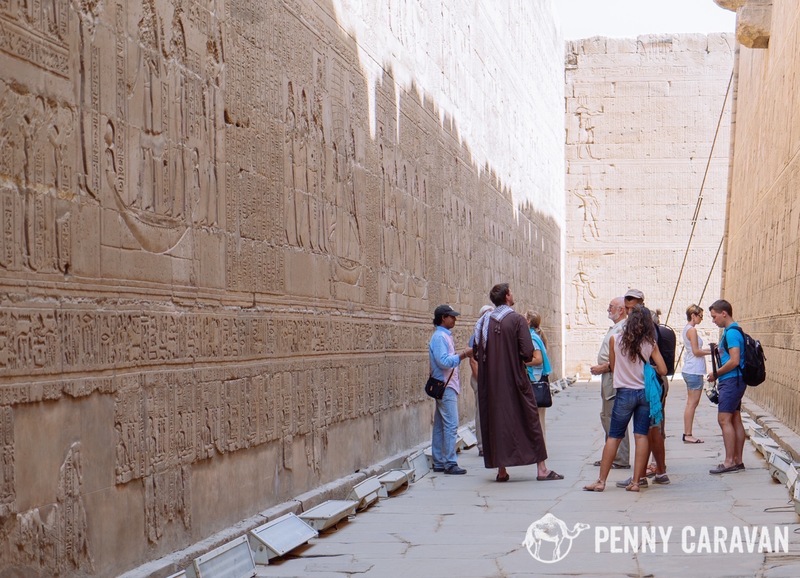 Edfu is a worthy stop on your cruise itinerary for it’s immaculate condition, but “temple fatigue” might start to set in after seeing the larger and more impressive Karnak and Luxor sites. 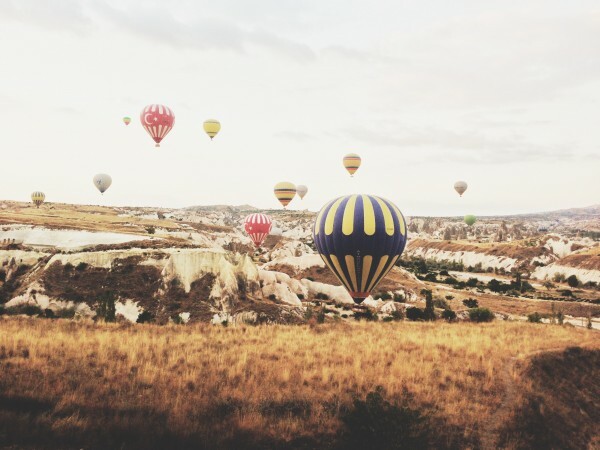 If you’re traveling through Egypt on land, whether or not you should stop depends on your schedule. If you have plenty of time, sure, why not? 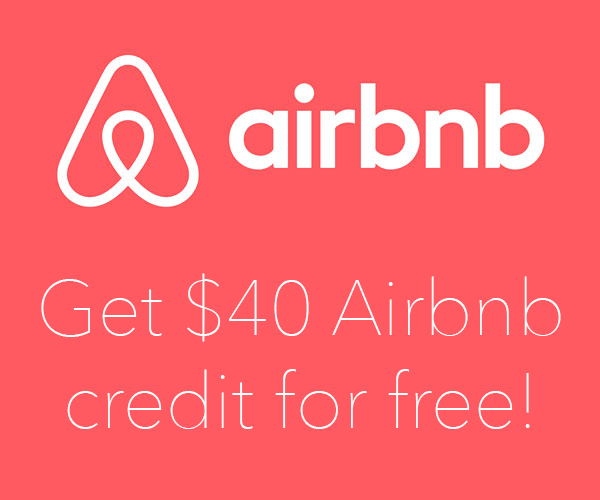 But if you’re pressed for time, you might be better off skipping it and focusing on the sites at Luxor and Aswan.